Prime Minister Netanyahu says incitement by Mahmoud Abbas responsible for Jerusalem violence, after attack kills baby girl. 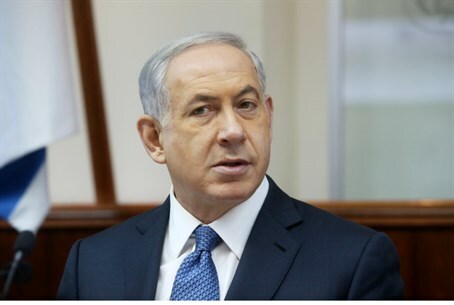 Prime Minister Binyamin Netanyahu specifically blamed the Israeli Arab leadership for Wednesday's terror attack in Jerusalem, in remarks made to the Government Press Office during a security briefing on the attack. On Wednesday, a Hamas terrorist from Shiloach (Silwan) ran over several pedestrians near the Ammunition Hill Light Rail stop, leaving nine injured. Three were critically injured; three month-old baby Chaya Zisel Braun hy"d died from her injuries. Last week, Abbas called for Palestinian Arabs to stop Jews from ascending the Temple Mount - Judaism's holiest site - "by all means." Abbas's remarks were largely seen as an incitement to violence, sparking new rounds of lawlessness in an already-tense situation in Jerusalem. They were only the latest such remarks by the PA leader, who has repeatedly called for violence in Jerusalem.